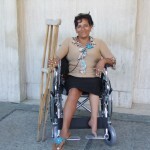 Mrs. Emma Sabando Centeno, from Santo Domingo is 44 years old, and was born with a genetic malformation. 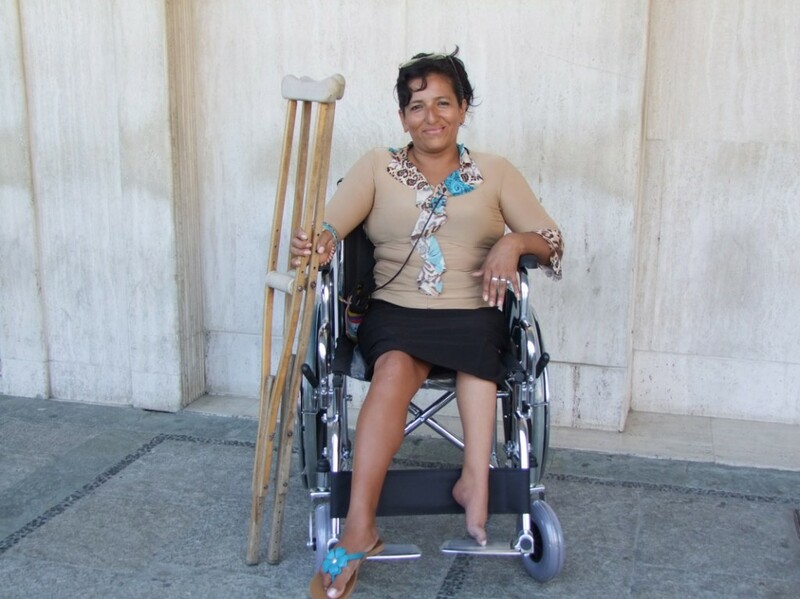 Unable to buy a wheelchair because she lacked the necessary economic resources, she’s depended upon crutches all her life. 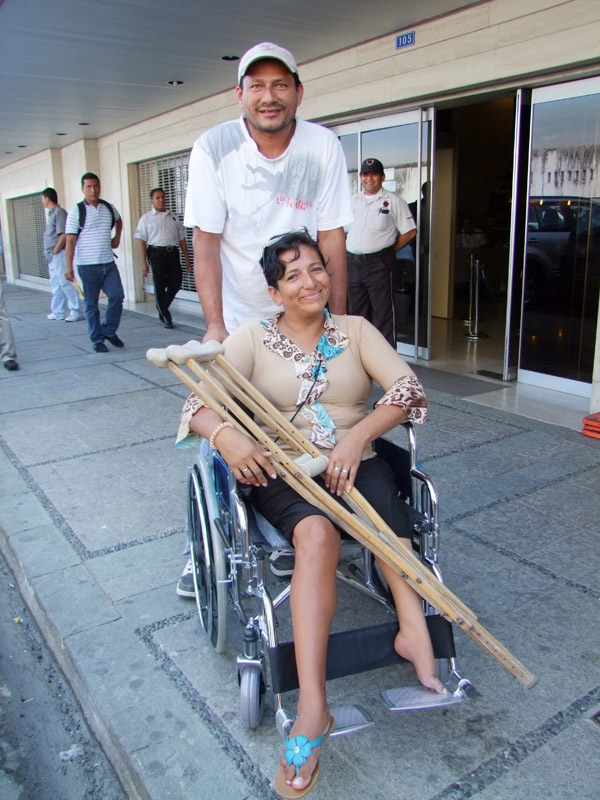 Due to the donation of a completely new wheelchair from Álvaro Noboa’s CRUSADE FOR A NEW HUMANITY Foundation, she is now able to get around in a more comfortable and dignified manner.